A bright smile can unfold some greatest love, which is the greatest thing in troubled times. When Mr. Buddha first met Febred, he felt his life has been brightened by his smile. The trickiest dilemma is: the world or the one you love? Escaping away with his beloved one to look for a shelter or staying where he is to defense the country, it’s hard to choose. This is a love story between a warlord and an actor in troubled times. 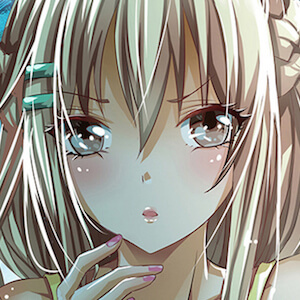 MangaToon got authorization from Paulina Zhao to publish this manga, the content is the author's own point of view, and does not represent the stand of MangaToon. I love this. Finally they have their very first peck and kiss. Fo Ye and Zhang Qi Shan. Their scene were beautifully make. Everyone is like "OMG THEY KISSED!" and I'm here like "that poem was great.. A really good one"